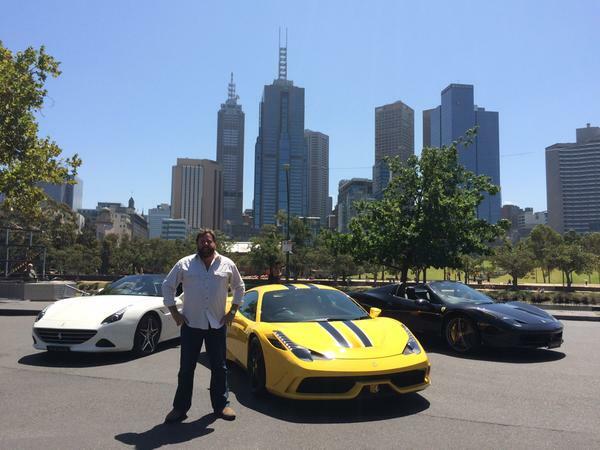 The days of the static motor show are over, according to Kenny star Shane Jacobson. Make way for a dramatic reinvention, where you get to test drive the latest cars and experience some mind-boggling new technology for yourself. This celebrated actor wants the joy of motoring, and the true sensory experience of driving, to be available to the great Aussie public through the 2015 Australian Motoring Festival, which is set to breathe life into the almost extinct motor shows of old. A lifelong car enthusiast with top credentials, it’s easy to see why Shane has been appointed Festival Ambassador. He co-hosted Top Gear Australia in 2010 and 2011, he’s driven Ferraris, Lamborghinis and Astons, and he’s rocketed around famous race tracks with the best of them – regularly driving Bathurst’s Mount Panorama as part of the Pedders racing team. “The AMF is a motor show-plus. You walk around the car and see it from every angle, see the car in the metal. But you’ll be able to get in the car with someone and experience the technology – obstacle evasion, hands-off parking, ascent control – those kinds of things in a safe and controlled environment”. 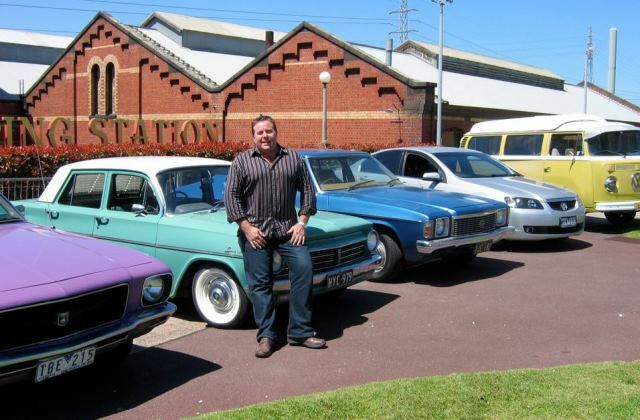 Shane Jacobson’s favourite car: The EH Holden. Just Had to Have That Car . . .
Shane’s personal collection of vintage Aussie cars includes an HJ Kingswood and an HQ Holden Ute (above), both acquired from the set of the Paul Hogan film Charlie and Boots in 2009. But his most treasured motoring possession has to be his beloved EH Holden (also above), tracked down by chance through his local plumber – a nice irony, given that Shane was propelled to fame by playing the unshockable plumber Kenny in the 2007 blockbuster, now the highest selling Australian DVD release ever. Posing with three Ferrari stars of the show. A dedicated Ferrari exhibition at the world-class motoring festival features the hybrid LaFerrari along with other iconic models on display. Children even have their own Kids Zone where they can simulate driving a Ferrari. Not that we want them growing up with tastes that are too expensive . . .
Other festival highlights include a New Car pavilion where you can test drive your favourites; an auto design centre where you can watch experts sketching and modelling, and get bang up-to-the-minute advice on motoring careers; Australia’s Best Cars that you can try out for size; crazy motorbikes, veteran vehicles and off-road demo tracks. For Shane, though, it’s all about the classics. Why not check out more celebrity car choices? The 2015 Australian Motoring Festival takes place at Melbourne Showgrounds 26-29 March.